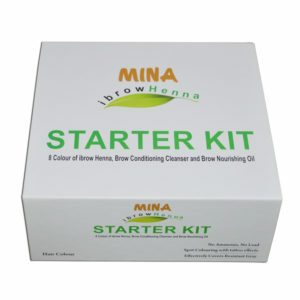 The profit for Mina Henna brows is excellent. Each Henna treatment costs your 0.45p, and you can charge anything between £20 to £30 depending on location. Your kit is £150 and the profit in your kit is around £2500. In your starter kit you will receive 8 colours with 15 sachets in each box. You will then receive a link to an online shop where you can buy your supplies. 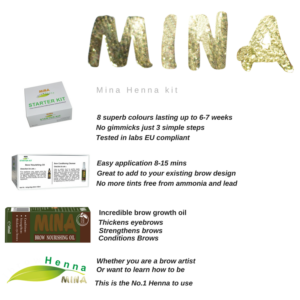 The cost of your henna to top up your starter kit is £27.50 per box, each box has 60 treatments.